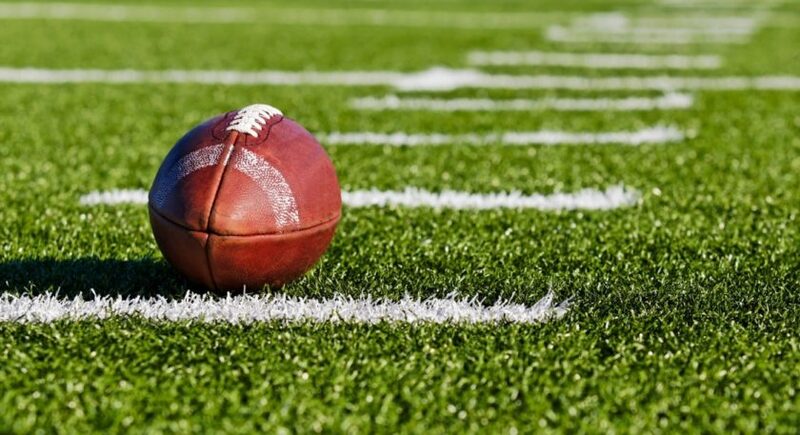 The NFL officially formed in 1920, but the first Super Bowl didn’t take place until more than 40 years later. The game occured when rivaling leagues, The NFL and the AFL, began negotiations for a merger in 1966. With this merger, the first Super Bowl was born, with the AFL and NFL champions facing off against each other. The game was originally called the “AFL-NFL World Championship Game,” and it was the then owner of the Kansas City Chiefs' who proposed calling the game the “Super Bowl.” Super Bowl I was held on January 15, 1967, with tickets pricing an average of $12, a far cry from today’s ticket price which usually begin in the $2000 dollar range and can go up to six figures. Though people often think of the Patriots as the undisputed Kings of the Super Bowl and have referred to the team as a ‘dynasty,’ it’s actually the Pittsburgh Steelers who have the most Super Bowl championships under their belt with six wins. The Super Bowl halftime show always brings the biggest stars of the music world. The franchise has had some iconic names and performances, from Prince belting out “Purple Rain” in the rain, to Janet Jackson and Justin Timberlake’s infamous and controversial performance. This year, the show will feature Maroon 5 who have sold over 53 million albums and 48 million singles. 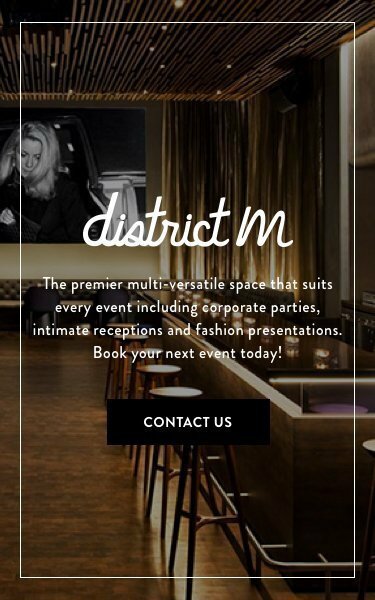 Located onsite at Row NYC, District M will be showing the big game on their massive 14 foot projector screen. Guests can either watch the games around the bar, at tables, or seated on the venue’s famous stadium style seating (how perfect is that?). 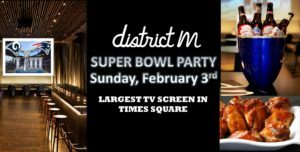 In addition to offering one of the biggest screens in Midtown, District M will offer food and drink specials starting at 5pm, including themed Patriots and Rams cocktails and beer bucket and wing specials.